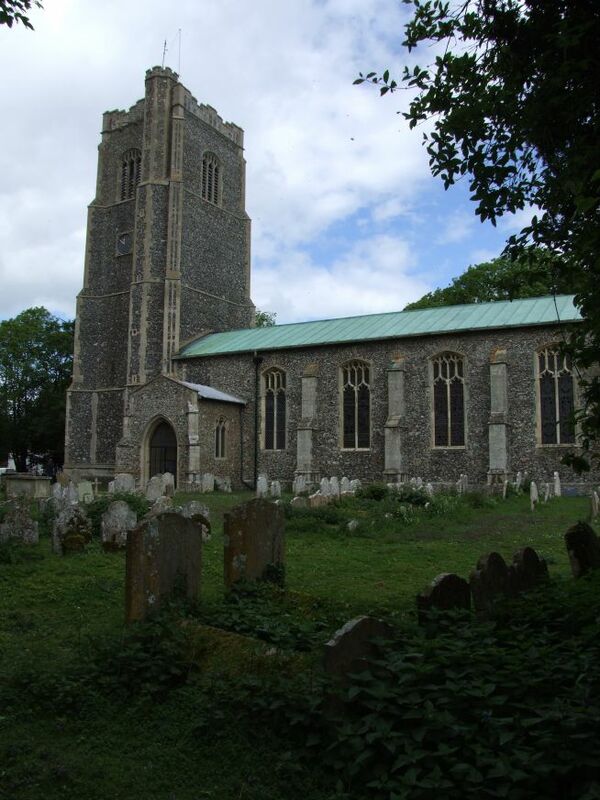 I was exploring Norfolk for the Norfolk Churches site, and loving every minute of it. But occasionally there were twinges of conscience. 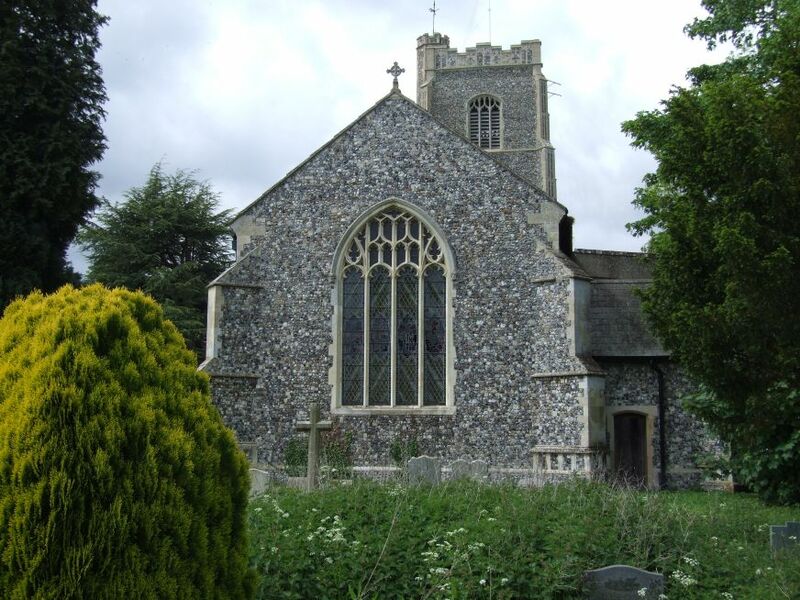 It had been eight years since I'd started my East Anglian travels, and I had not been back to the Suffolk side of the Waveney valley since those early days. Back in 1999, I had no digital camera, and no particular understanding of what I was seeing. 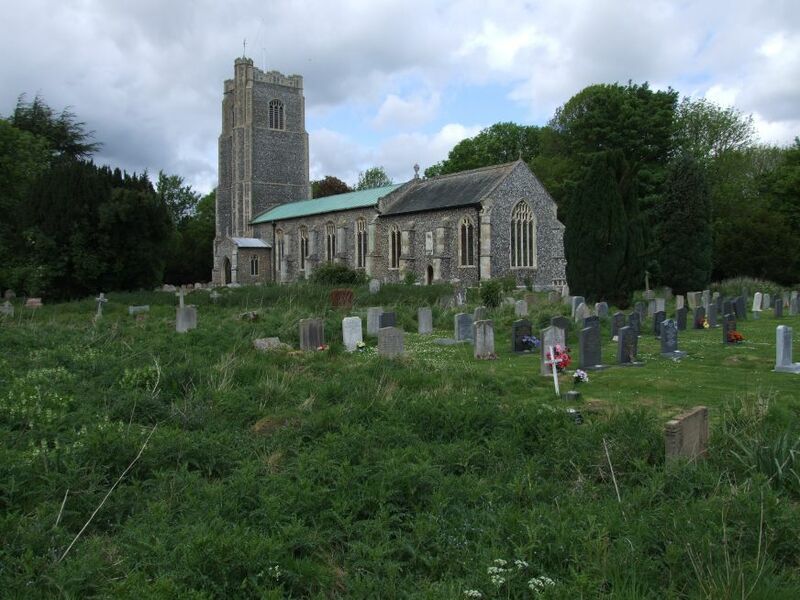 This was reflected in the quality of some of the early entries on the Suffolk Churches site. Well, most of them, really. There was an increasing gulf in quality between the Norfolk site and the Suffolk site, and it didn't take my conscience alone to be aware of this. Heartfelt e-mails from north Suffolk churchwardens, and grumpier ones from family history hunters, were beginning to wake me up in the night. And so it was that I lay awake in the fading dawn one morning in the spring of 2007, listening to the dawn chorus from the park across the road, and made the fateful decision. It was time to do Suffolk again..
Back in 1999, I'd cycled here from Oakley, down the narrow lanes to meet the Diss to Framlingham road. In 2007, Peter and I came the same way, but popped over the border to Billingford first. And, I must admit, we were travelling by car. This made the journey slightly more pleasant than eight years previously, because the road is busy and hilly, like so many in the Waveney valley. The first time I'd been here, it had felt a real reward for my efforts to reach, after a couple of miles, the edge of the large and pretty village of Hoxne, then as now pronounced to rhyme with 'oxen'. When I first came here, I was pleased to find, at a sharp bend in the road, the village high street dropping suddenly away on the far side. I'd freewheeled down the hill, trees flashing past, the late summer sunlight flickering above my head. Coming to a stop outside the village shop, I looked around, and thought how much I'd like to live here. However, on consulting my map, I discovered that the church was back up at the top of the hill I'd just come storming down. It had been concealed by the bend. Oh well. 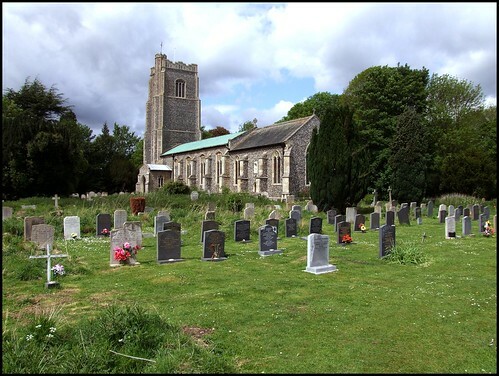 Five hot, sweating moments later, I'd found myself in the vast graveyard of St Peter and St Paul, Hoxne. Eight years on, and slightly less ruffled, I repeated the experience. 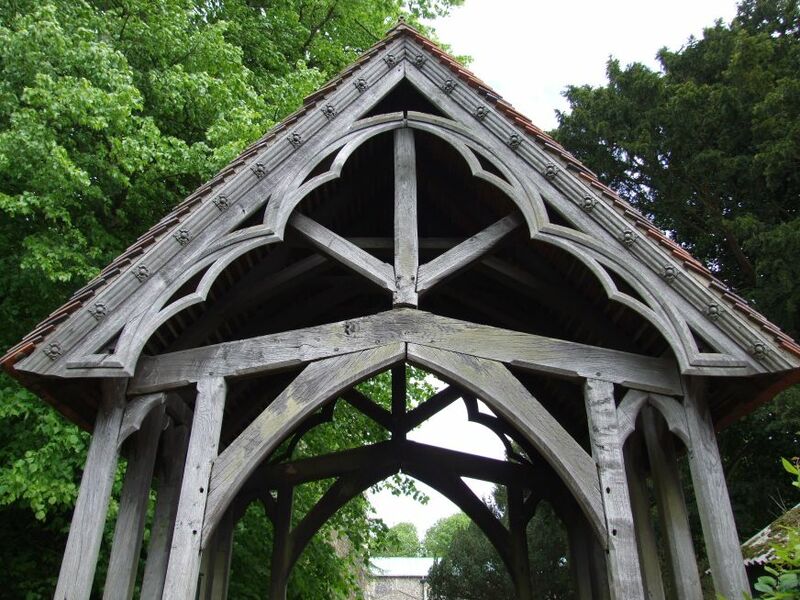 Today, not much has changed; the lychgate has been restored, but I only know this because someone from the Victorian Society contacted me to tell me so. The graveyard is still pleasingly rambling, and fortunately we'd arrived before the annual mow of the wild areas. The graveyard and the old Rectory garden next door have their fair share of exotic trees at least a century old. 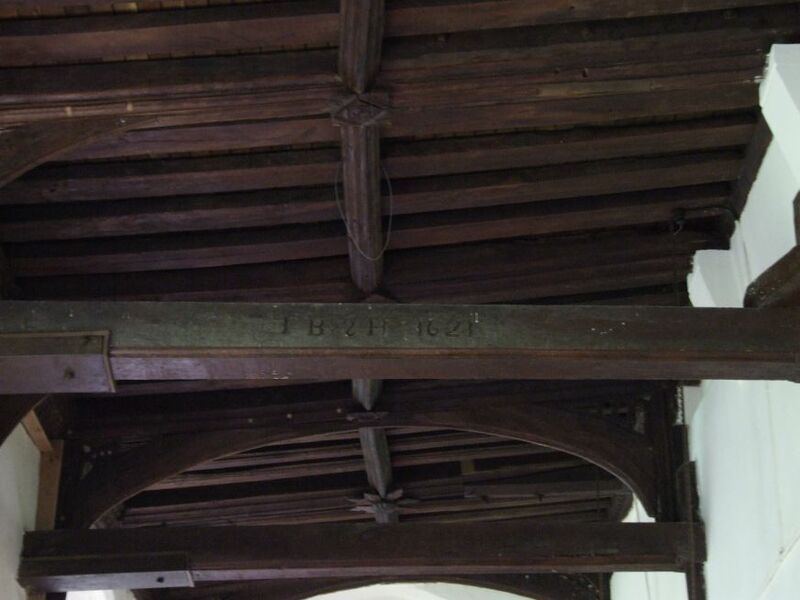 Probably, the Rector here had been an arborealist, a popular enthusiasm for the gentry in the 19th century. Hoxne's tall tower is typical of the larger villages round here, bearing a resemblance to nearby Stradbroke. It was built at the same time, with the money and to the glory of the De La Pole family. There is no aisle on the south side, and no clerestory on either, and so the church feels very long indeed, both inside and out. 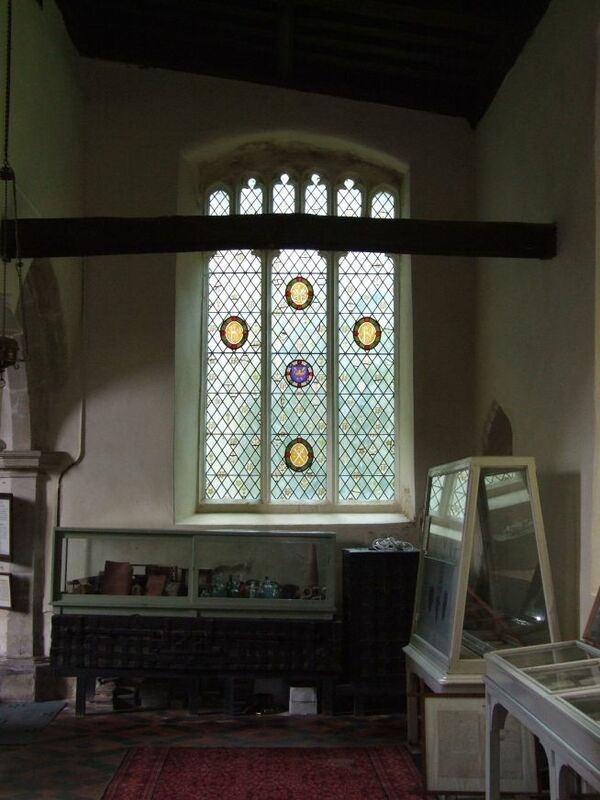 Tall, narrow windows appear to have been a 15th century attempt to counter this impression. 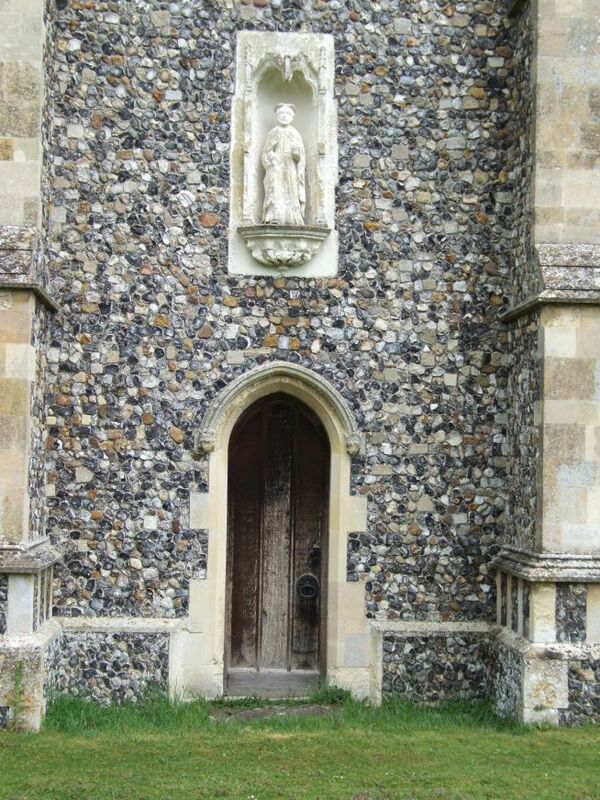 The south porch is not a grand one, considering that we are in Suffolk. 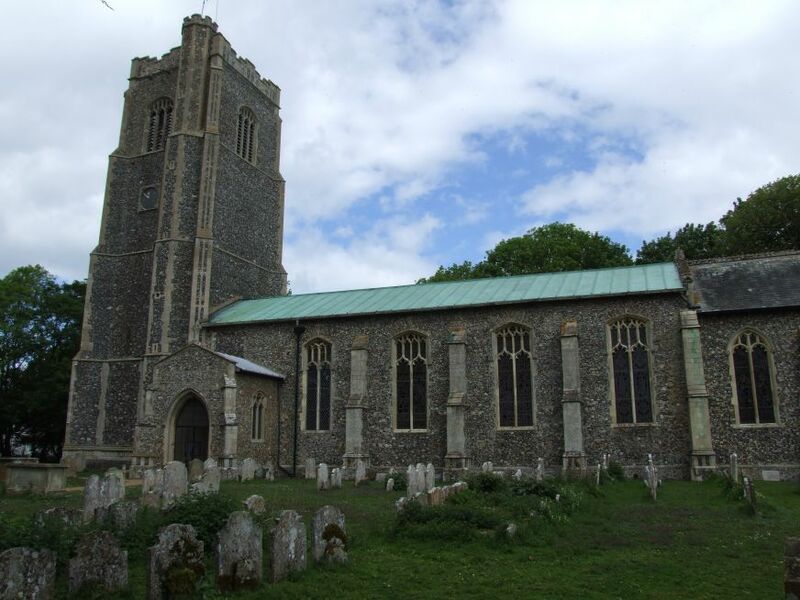 One change for the better over the last eight years is that more churches are now open in Suffolk. 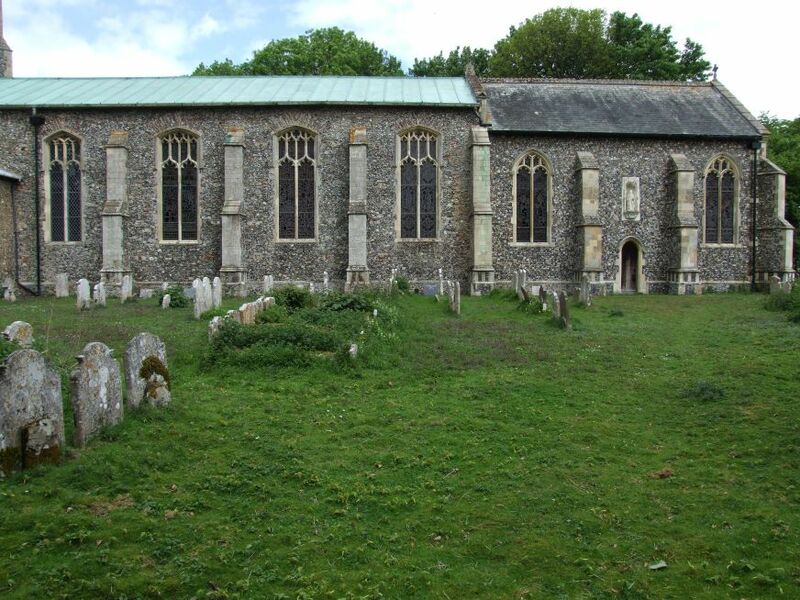 In fact, Hoxne was open in 1999 as well, but most of its neighbours weren't. They are today. 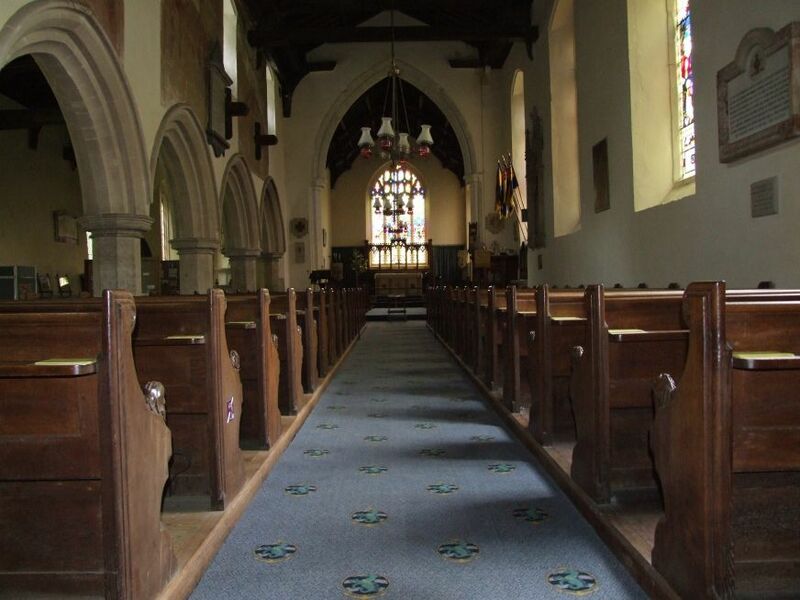 You step down into a fairly dark, long space, the north aisle opening before you. It is a bit like entering a long hall. It is a neatly-kept interior; 19th century neat, I said in 1999, although this was not meant as a disparaging remark. Above, there are three large wall paintings on the north wall of the nave. They are probably among the largest in Suffolk, but poorly preserved. The first, as you'd expect, depicts St Christopher. The second, which looks like a tree, is the seven deadly sins. The third, seven figures with scrolls, is the seven works of mercy. 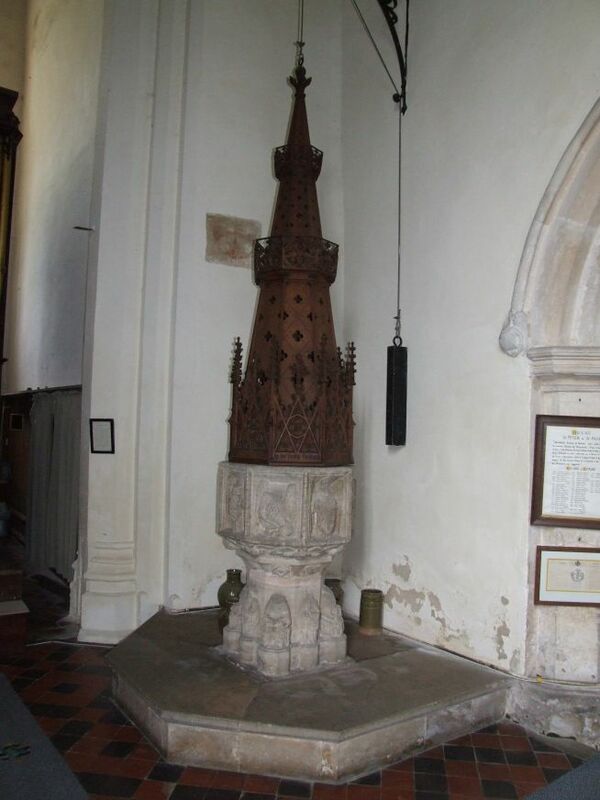 The font is an excellently preserved example of a 15th century East Anglian font, with a modern cover in the late medieval style. 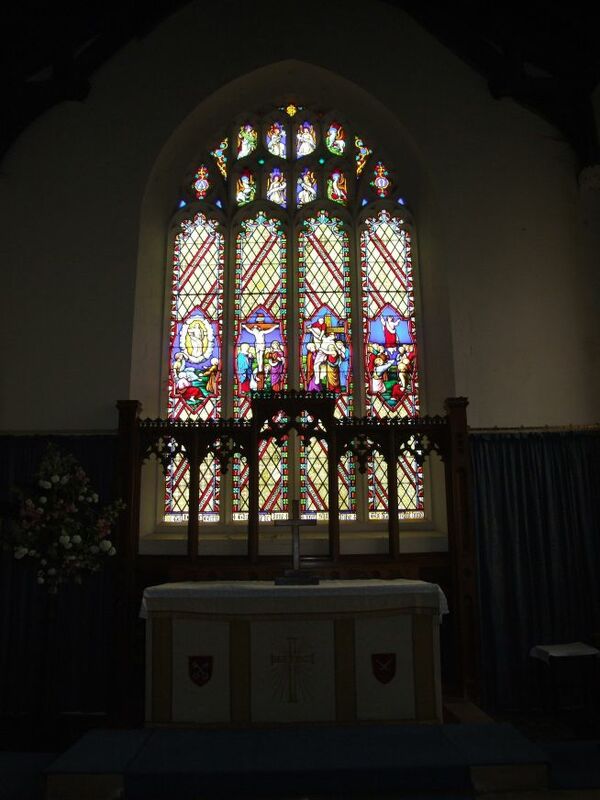 Aside from this, the nave is a typical, fairly urban 19th century interior, with some good quality glass. 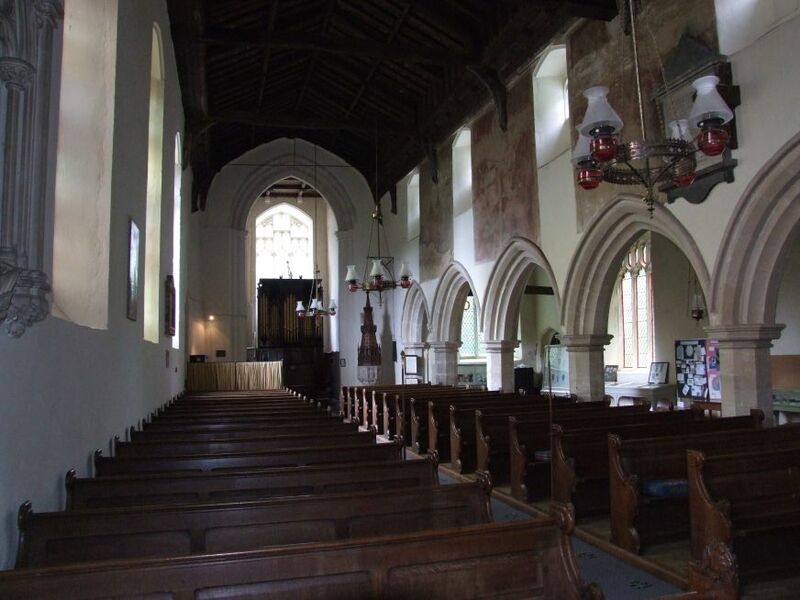 The north aisle is the village museum, with displays and artefacts illustrating the history of the parish. There is a large display on the Hoxne Treasure, a vast Roman hoard discovered here in the early 1990s. It is now on prominent display at the British Museum in London. The treasure is one of the most valuable Roman hoards ever discovered in Britain; another, the Mildenhall Treasure, was also discovered in Suffolk. But it is not for the Hoxne Treasure that the village is most famous. 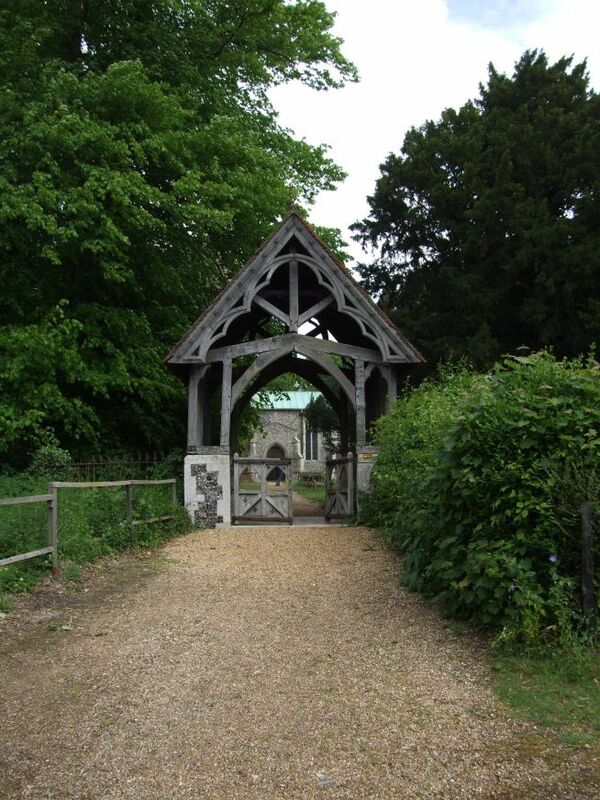 For here, so legend has it, the martyrdom of St Edmund occured. Edmund was King of East Anglia, and was murdered by a raiding party of Vikings in 870. Shot by arrows, he was then decapitated. His followers, searching for the head, found it three days later, guarded by a huge wolf. A wolf, therefore, is one of his symbols; another is a crown surroundind a pair of crossed arrows. While St Felix is patron Saint of Suffolk, St Edmund is patron Saint of East Anglia, and should be of all England. He is certainly a more appropriate candidate than the spurious and violent St George. 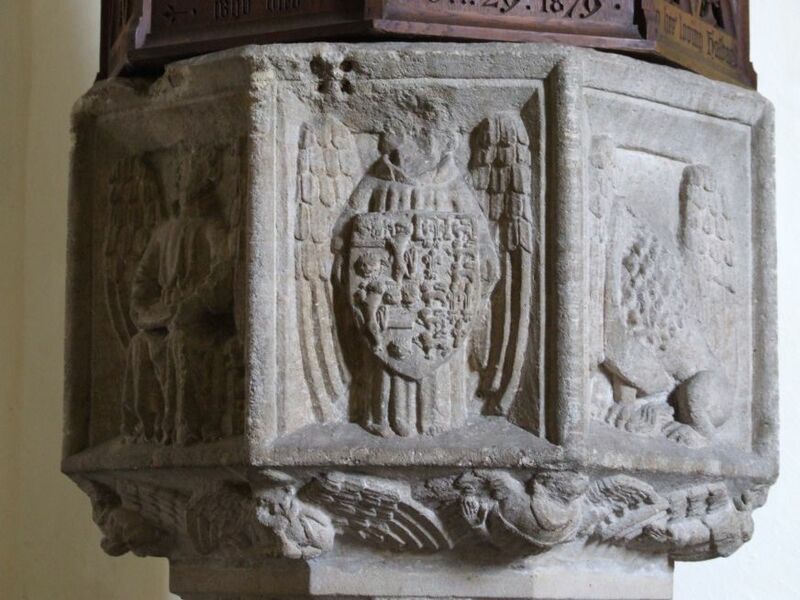 His crown and arrows symbol is everywhere in Suffolk, and is often to be found on medieval towers and fonts. 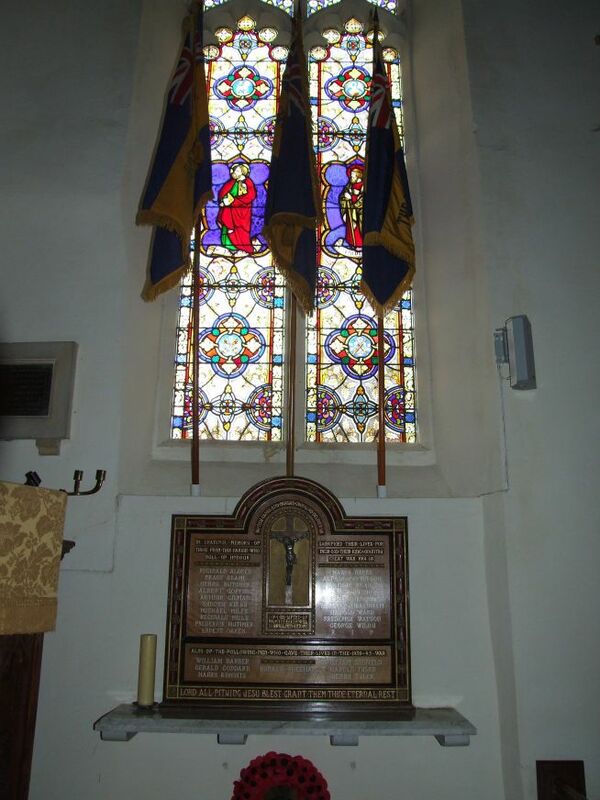 In modern times, it appears on the county arms of Suffolk, and on the badge of the Anglican diocese. 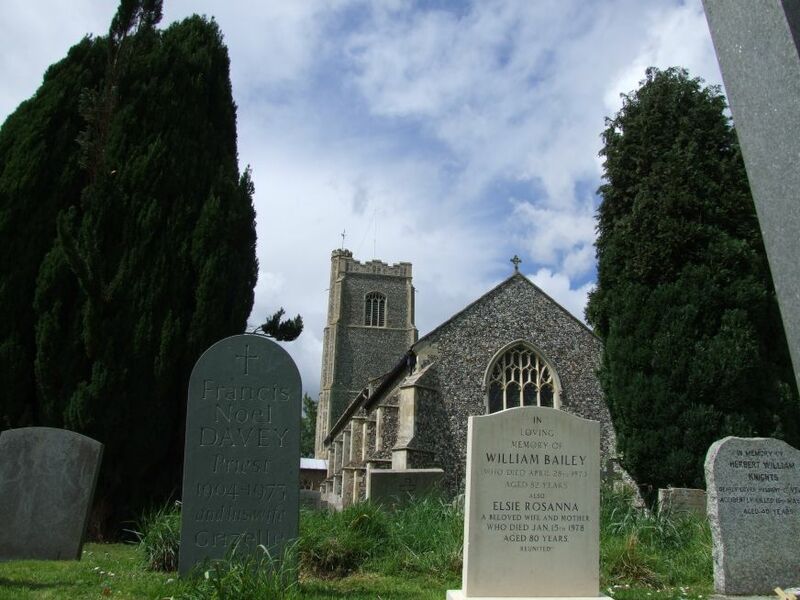 Bury St Edmunds is named after him, and wall paintings depicting the martyrdom survive between here and there at Thornham Parva and Troston, perhaps stopping places for the procession that carried his body there. It must be said that several other villages claim to be the site of the martyrdom. And, in all honesty, who can say? All that is certain is that Hoxne's claim is older than that of anywhere else. A cross in a field between the two halves of the village marks the site of an old oak tree that, traditionally, was where the deed was done. The tree collapsed about a hundred years ago, and you'll not be surprised to learn that a Viking arrow head was found embedded in it, thirteen centuries deep. Because St Edmund was associated with local communitarianism, and the massive power of his shrine abbey, and furthermore was contrary to the required patriotism and sense of national identity required by the Tudors, his cult was vigorously suppressed at the Reformation, along with that of fellow English martyr St Thomas of Canterbury. But some things survive; at Hadleigh, there is a huge bench end depicting a wolf guarding a head. And the same thing survives here, albeit on a smaller scale. When I came here in the 1990s, it took me a while to find it, until I noticed some old benches leaned up at the east end of the north aisle. The front one carried the wolf carving, badly damaged as it is now, presumably by wear and tear rather than by iconoclasts. 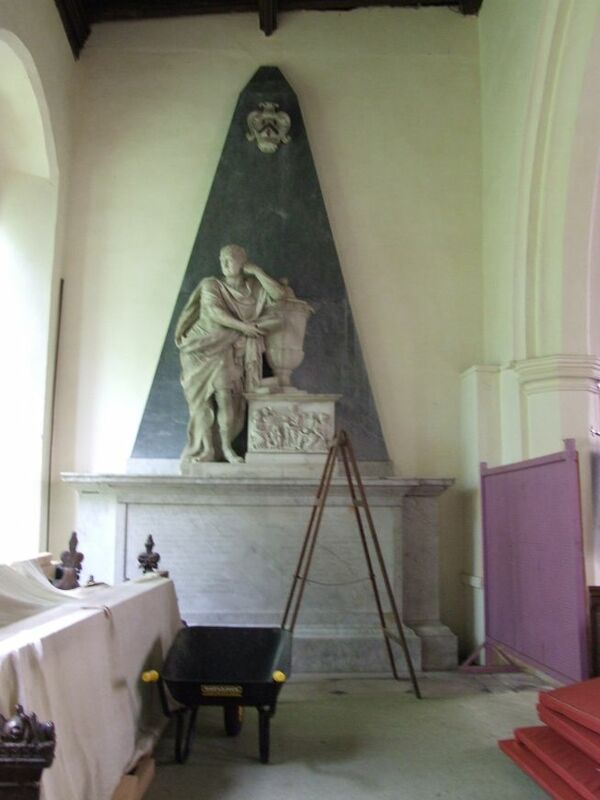 In 2007 it was in the same place, but cordoned off within the repair zone for the massive memorial to Thomas Maynard, made by Charles Stanley in the 1740s. Pevsner liked it a lot, but I couldn't help wishing that the benches were in a more prominent and fitting place. There is more good 19th and early 20th century glass in the aisle, including a lovely set of monograms and symbols. As often with grand late Medieval churches which were enthusiastically Victorianised, little remains of the three hundred years in between. 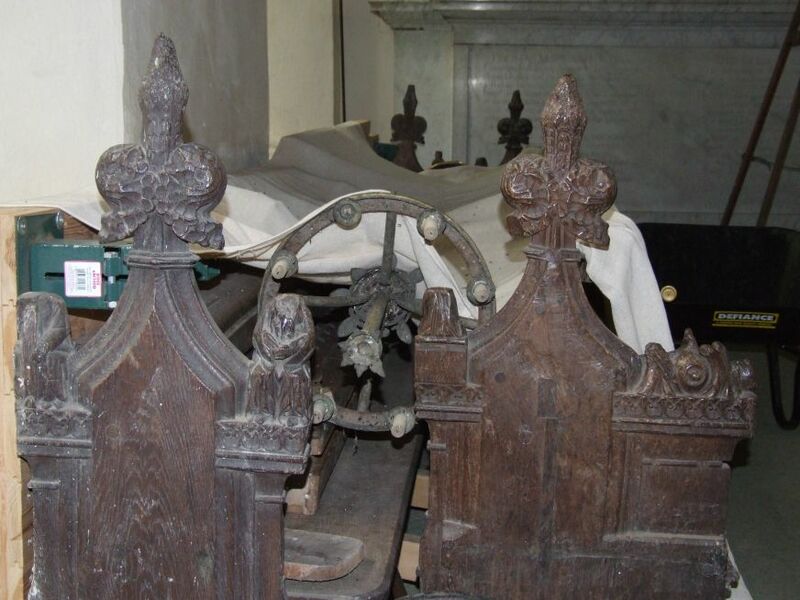 Perhaps most interesting are the brasses in front of the chancel steps to two 17th century John Thrustons. Back in the 1990s I had thought St Peter and St Paul a rather grand church. But I had seen enough in Norfolk to appreciate it more for its Victorian confidence, the sense of a beacon at the heart of its community. The populations of East Anglia's rural parishes reached their peak at the 1851 census, and have been in slow decline ever since. Back in the middle of the 19th century, this parish had almost 1,500 inhabitants, three pubs, two beerhouses, a grocer, a chemist, a draper, four shoemakers, three blacksmiths, a tailor, two saddlers, a wheelwright, a butcher, a miller, a surgeon, three schools... all things considered, the church has a right to feel urban.